BRYAN EATON/Staff photo. 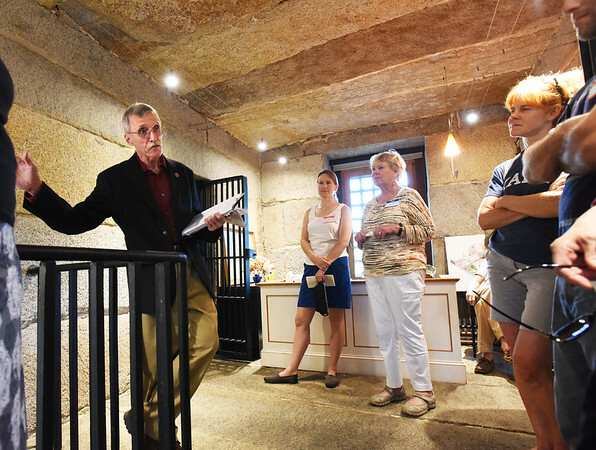 Newburyport Preservation Trust board member Reg Bacon speaks to visitors at the old Newburyport Jail (Gaol) on Friday night. The open house at the privately-owned building was a fundraiser for the trust.